A recent piece in The Wall Street Journal is helping to put to rest the false claim that America’s firearms industry plays a role in illegal firearms trafficking operations. The article, written by criminologist Gary Kleck, confirms Department of Justice and independent research dispelling gun control propaganda on the issue of trafficking into Mexico. -- If they have no criminal convictions, by lawfully buying guns from licensed dealers. Kleck goes on to attack the falsehood that firearms trace data – the process by which law enforcement tracks the chain of custody of a firearm through the licensed distribution system to the first retail purchaser – is an indicator of criminal wrongdoing. It’s not – it is merely a law enforcement tool. Consider that not all firearms used in crime are recovered by law enforcement. Of those that are recovered, not all firearms are traced by law enforcement. It is not appropriate to derive statistical conclusions from the database about firearms used in crime because the database is not a “random sample” of guns used in crime. The database has biases. For example, it is biased toward “newer” firearms because tracing newer firearms is more likely to yield relevant investigative information than tracing an older firearm. Similarly important, firearms traced in Mexico were originally sold at retail not recently, but, on average, 14 years earlier. This is completely inconsistent with any notion that a flood of newly purchased firearms are being illegally smuggled over the border. Also helping to bolster Kleck’s arguments, investigative reports show more than 80 percent of the firearms recovered in Mexico do not come from the United States. 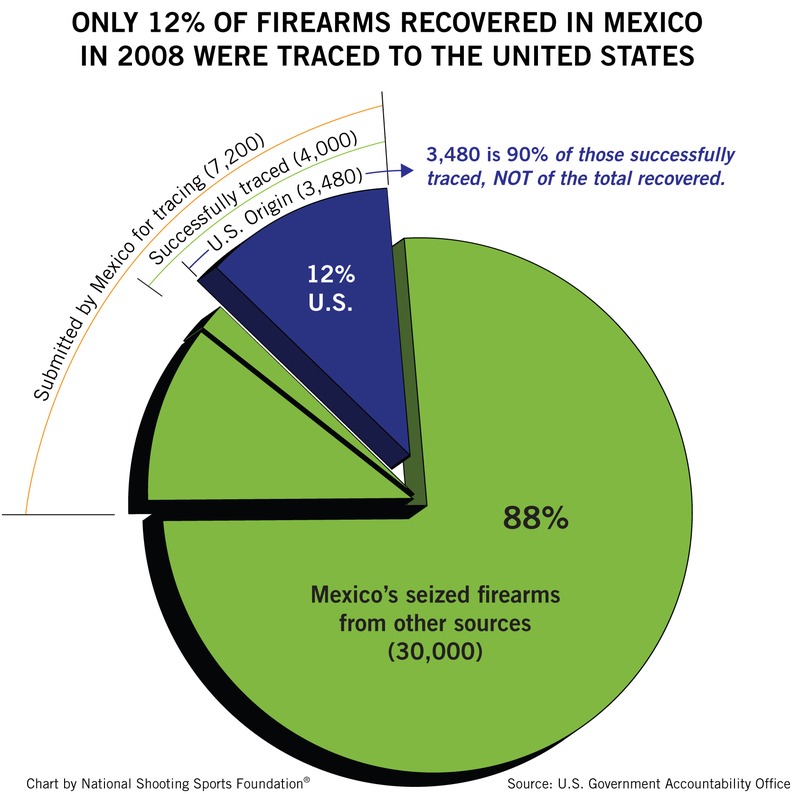 The most recent of these reports, from the independent research group STRATFOR, determined that less than 12 percent of the guns Mexico seized in 2008 came from the United States. Unfortunately, even with statistics, law enforcement and commonsense making clear how criminals get their guns – and how they don’t – America’s firearms industry remains a target for anti-gun groups. Furthermore, just last month the government of Mexico hired U.S. trial lawyers to investigate possible litigation against firearms manufacturers and retailers, seeking to hold these lawful companies responsible for the criminal misuse of firearms in Mexico. And while we defend ourselves against such baseless attacks, we continue to applaud Mexican President Felipe Calderon for taking other steps to stop the cartels. Members of the firearms industry take seriously the criminal acquisition and misuse of their products. This is why our industry has for more than a decade partnered with the ATF in a national campaign to make the public aware that it is a serious crime to straw purchase a firearm. The program, called Don’t Lie for the Other Guy, is now funded completely by members of the firearms industry and also helps ATF to educate firearms retailers – whom ATF considers the first line of defense – to better detect and prevent illegal straw purchases. 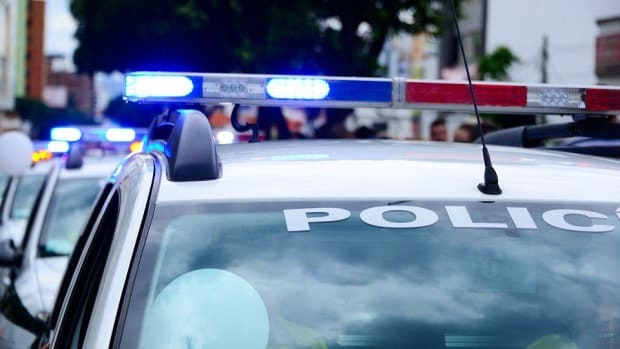 Our industry recognizes that while we may not be able to stop a criminal from stealing a firearm or buying one on the street illegally, we can make sure that firearms dealers are as prepared as possible to recognize and stop any would-be straw purchaser. Even if the number of criminals who obtain their firearms through straw purchasing is very low, through awareness programs such as Don’t Lie, that number could fall even more. That’s all the motivation we need. Myth: 90% of Mexican Drug Cartel Guns Come from U.S.